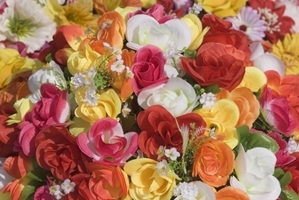 When Jan. 1 finally arrives, the 125th annual Tournament of Roses Parade will be ready to ring in 2014. The upcoming celebration will feature at least one record-breaking float, as Honda is poised to create a unique entry that will lead the procession. The float, which has been named “Keeping Dreams on Track,” will measure 274 feet, which is the longest ever. It will also be 30 feet tall at its highest point and 18 feet wide, with a weight of about 50 tons. Currently, the record for largest float is held by another Honda entry from the 2005 parade. That float was 207 feet long. This year's entry will also feature nearly 9,000 flowers decorating the outside, including 5,900 roses, 2,500 carnations and 580 gerberas. Other plants, flowers and seeds will be used to detail the float and carry out its theme, which focuses on the friendship between the U.S. and Japan. Powering the vehicle will be a Honda hybrid engine. “Keeping Dreams on Track is an embodiment of Honda's deeply rooted philosophy, The Power of Dreams, as well as Honda's passions toward following those dreams to guide and inspire us to make a difference,” said Stephen Morikawa, assistance vice president of American Honda Corporate Community Relations. With a little help, you too can keep your dreams on track and locate the perfect vehicle for your needs. NJ State Auto Auction is the ideal place to look for your next car, as it boasts a wide selection of CARFAX-certified cars, trucks and vans. The blend of high-quality vehicles and low prices is just the thing needed to please all kinds of drivers. Even with so many makes and models to choose from, American drivers are largely drawn to a few major brands. One of those is Ford, which is poised to remain the top-selling brand in the country for the fourth consecutive year. Leading the pack was the Ford F-Series. The trucks, available in a variety of sizes and styles, are consistently at the top of the segment. However, that was not the only section of the Ford company to excel – in fact, the brand saw success across all types of models, including the Mustang, Fusion and Focus. "The great news is that we are not overly reliant on any one segment – we're seeing double-digit sales growth in cars, trucks and utilities," said John Felice, vice president of U.S. marketing, sales and service for the brand. "The Ford brand has had more retail share growth than any other brand in the country, with our most significant gains coming from import-dominated coastal markets." In total, more than 2.4 million Ford vehicles were sold throughout the 2013 calendar year, outpacing second-place Toyota by nearly 400,000 automobiles. That represents a 15 percent increase over the number of cars sold last year, and the brand only looks to continue growing in the coming years – leaving many opportunities for drivers to get behind the wheel of one of the brand's creations. Anyone looking for Ford vehicles can head to New Jersey State Auto Auction. The lot is home to hundreds of CARFAX-certified cars, trucks and vans from a variety of automakers, ensuring drivers have plenty of options to choose from. These affordable vehicles are ideal for any number of motorists and could be a great investment. When drivers head out onto he roads in the wintertime, they are frequently met with a new set of challenges. Poor visibility, slick surfaces and inclement weather can wreak havoc on motorists, but despite this experience, many drivers are confident in their abilities. In fact, a recent survey from PEMCO Insurance found that the vast majority of motorists believe they are fully capable of driving in the winter, which could cause them to be less prepared. According to the survey, four out of five drivers said their skills behind the wheel were on par or better than their peers. Additionally, more than half of all respondents said they felt comfortable driving in rough winter conditions. That confidence may be the reason why many do not take precautions like stocking up on tire chains – only 37 percent of motorists who live in areas that traditionally get significant amounts of snow carry these tools. "Despite what we may see on the streets, drivers around here definitely seem to have plenty of self-confidence – perhaps showing they think their skills and comfort driving in snow keep them from needing tire chains," said Jon Osterberg, a PEMCO spokesperson. Just because motorists believe they are strong drivers doesn't mean they should bypass all helpful tools. In reality, practicing with tire chains and other resources beforehand may improve skills and increase safety for everyone. No matter how you feel about your driving abilities, you can gain confidence by getting behind the wheel of a vehicle that is both safe and efficient. If you're ready to shop around for the right used car, head to NJ State Auto Auction. The lot on site is home to hundreds of CARFAX-certified cars, trucks and vans that can meet your needs this winter. Drivers know they need to be informed before they can make a final decision about purchasing a used car for sale. In addition to planning out a budget and devising a game plan for the shopping process, you should also be trying to organize your thoughts to effectively prepare to buy a used car. The first thing you have to do is consider your needs and wants – and distinguish the two. Certain safety features may be must-haves for drivers looking to keep family members safe, while others may be searching for vehicles with tons of cargo space for extra storage. You should list out all of these desired amenities, singling out the ones you're not willing to budge on. You'll need to get specific with these wish lists. Almost every shopper will want things like extra legroom or advanced technology. By coming up with several explicit amenities, such as infotainment systems or under-seat storage, you can narrow down your choices and have a clearer picture of what you're looking for. At the same time, you need to be willing to bend a bit on your desires. Not every vehicle will be your dream car, but you can get incredibly close when you're not afraid to look outside the box and consider all of your options. When you need to stick to a budget but don't want to sacrifice quality, head to car lots like NJ State Auto Auction. There, curious shoppers can find hundreds of CARFAX-certified cars, trucks and vans. They'll also be able to take advantage of the Financing Department, which can help shoppers determine their budget and apply for auto loans. In today's economy, a vehicle's fuel economy is particularly important, but it is just one of many factors that play into a car's overall function. Another quality that should not be overlooked is how environmentally friendly an automobile is, and the easiest way to check is with a smog test. Although many drivers might not think about their car's harmful emissions until it becomes a problem, taking a few steps early on can make a big difference. At its most basic level, a smog check examines a vehicle to see if its emissions output is reaching harmful levels of pollution. Although almost all cars will have some kind of emissions, those that are operating at a low level will typically have worse results. This may be a sign that certain types of repairs are needed. Edmunds.com offered several recommendations for drivers looking to check their vehicle's emissions and improve the chances it passes a smog check. One of the most important actions drivers can take is to keep up with regular maintenance. For example, when the check engine light comes on, it could be a sign of a faulty oxygen sensor, which in turn may lead to a mixture of gas and air that causes harmful emissions. Similarly, updates like changing the oil when it is needed, properly inflating tires, and refilling coolants and other fluids can go a long way toward passing a smog check. All of these tasks are relatively simple actions that improve the overall function and efficiency of a car, and therefore can make the emissions better as well. If you think something may be off with your car, take it to be looked at by the professionals at the Total Car Care Center at NJ State Auto Auction. The garage caters to the public and can address any issues you may have, ranging from basic vehicle maintenance to more intensive repairs. The arrival of winter means you have to get ready to deal with colder weather. These preparations include everything from bundling up with warm sweaters and heavy jackets to investing in snow tires and ice scrapers for your car. However, those aren't the only steps you'll have to take as you get your vehicle ready for the frigid season. There are several tools you should have on hand before battling the ice and snow in your automobile, and having them available could make a big difference when on the roads. Kelley Blue Book recommended drivers make sure their cellphones are fully charged before getting behind the wheel. Investing in a spare charger and car adaptor is also a smart idea, as it means motorists can have a working mobile device to contact help in the case of an emergency. 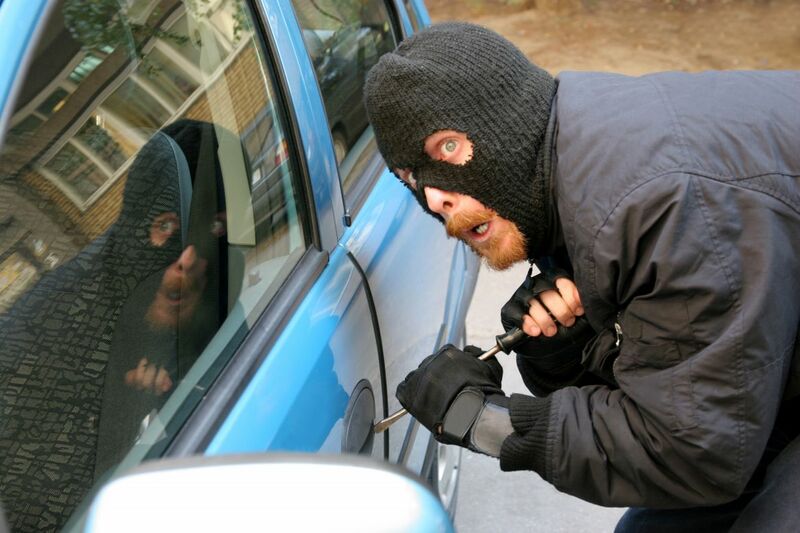 Other tools, such as jumper cables, an ice scraper, a flashlight and road salt or sand are also necessary. 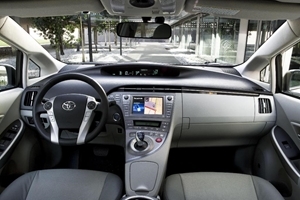 Additionally, drivers should familiarize themselves with the features and navigation systems on their vehicles. Being able to work around detours or accidents on the fly could be tremendously helpful, and it could allow you to avoid using up all of your fuel as well. An important part of driving in the winter is making sure your car and all of its features are functioning properly. Car owners who want to check this box off their to-do list can bring the vehicle to a professional, such as the mechanics at the Total Car Care Center at NJ State Auto Auction. The garage caters to the public and is capable of addressing any issues you may have, including several pertaining to the operation of your car in cold weather. While features like cruise control or driver-assist can be a big help to some motorists, they should be used with caution in the winter. Car owners need to be in full control of a vehicle at all times, which is not possible when some of these tools are employed. Some stretches of the road may be more susceptible to icy patches. For example, AAA reported that bridges and overpasses tend to freeze first and melt last, so drivers need to pay extra attention when crossing over these roads. Sticking to cleared lanes can also be a major advantage, as switching lanes unnecessarily can expose a car to hidden patches of ice and snow that were not cleared by plows. All drivers should have some tools in their car in the event of an emergency. Ice scrapers, extra fuel and flashlights are all important to have. 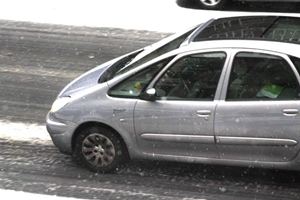 Motorists should also consider stocking up on gravel or sand, which can be used to provide traction on icy surfaces. Having a vehicle that is performing at a high level with all safety features working properly is incredibly important in the winter. Drivers who want to make sure their automobile is safe can bring their ride to the Total Car Care Center at New Jersey State Auto Auction. The garage caters to the public and is capable of addressing any issues you may have. When you're shopping for a used car, one of the major factors you'll have to consider is what you want powering your automobile. This may be anything from traditional gas to diesel, or even more eco-friendly sources like electricity for hybrids or plug-in vehicles. Although it may seem like these alternative vehicles are becoming more prevalent on the roads, in actuality their popularity is only increasing slightly. That trend should continue for the next several decades, at least according to one report from the U.S. Department of Energy's Energy Information Agency. The DOE report predicted that, by the year 2040, 78 percent of all cars on the roads will be gas-powered, down from 82 percent today. While those gas-powered vehicles will still be the dominant option, they will also be more fuel efficient. According to the report, fuel economy is expected to rise from an average of 21.5 mpg to 37.2 mpg in 2040. Drivers will likely need this jump in efficiency, as the price of a gallon of gas will increase with inflation. The DOE predicted that the average cost of gas will reach $3.90 per gallon. However, this is significantly better for motorists than other predictions, which expected the expenses to reach $4.40 per gallon. No matter what kind of vehicle you're searching for, you may be able to find it at New Jersey State Auto Auction. This lot has plenty of CARFAX-certified cars, trucks and vans available in a variety of styles. You can also choose from a number of different fuel types and brands, providing you with the flexibility you want – all while staying in a budget. When drivers are calculating the average cost of owning a car, they probably aren't counting on insurance expenses growing at a rapid rate. Unfortunately, that is exactly what happens for many motorists who find themselves filing insurance claims. 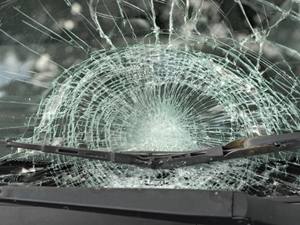 A recent study from insuranceQuotes.com looked at the average increase for drivers who filed a claim in each state, and the findings may cause some motorists to think twice about making claims. The report found that American drivers who make a single car insurance claim pay an average of 38 percent more for their insurance than those who do not file. Massachusetts was home to the largest increase, with drivers seeing premiums rise by as much as 67 percent, but California and New Jersey were not that far behind with jumps of 62 percent and 59 percent, respectively. Geography wasn't the only factor that influenced increases in insurance rates. Collisions that resulted in damage to the car and other property were the most expensive, while claims for events such as theft had a much smaller impact. Sometimes, the best way to fight against expensive car costs is to begin the shopping process with this in mind. Drivers can search for models that have a strong history of being reliable and having relatively easy vehicle maintenance. Popular makes and models may also be a smart choice, as repair locations may be familiar with the vehicles and could have the right tools and replacement parts on hand. If you want a vehicle that fits these qualities, but still shows off your personality, head to NJ State Auto Auction. The lot houses hundreds of CARFAX-certified cars, trucks and vans, many of which are able to handle a variety of obstacles on the roads. There is also a financing department on site to help you determine what payments fit into your budget. Shopping for a used car means thinking in the long term. Motorists have to consider more than just the car's appearance or how fits into their current situation: They also need to make sure the vehicle can adapt for the future, providing excellent resale value, fuel economy and more. One major element in this is the rate of depreciation, or a decrease in the car's value. Depreciation is normal and unavoidable, but there are certain conditions that play a role in how quickly or slowly a car loses its worth. The NADA Used Car Guide keeps track of the average rate of depreciation in all vehicles, and the service found that there was good news to report in November. That month, the average rate decreased to 1.5 percent, which is a significant drop from the 3.5 percent rate in October. That is good news for drivers, who can retain value in their vehicles for longer periods of time. "November's decline in the rate of depreciation can be credited to favorable market conditions, lower unemployment, moderating gas prices and advantageous credit conditions, including the end of the federal government shutdown in October," said Jonathan Banks, executive automotive analyst of the NADA Used Car Guide. Depreciation can lead to lower prices for used cars, but it also limits what a driver may get for a vehicle in the future. This double-edged sword can be difficult to handle for those who are unfamiliar with the statistic, but knowing that value holds strong is good news regardless. For a wide selection of high-quality used cars, head to New Jersey State Auto Auction. This lot has hundreds of CARFAX-certified cars, trucks and vans, many of which offer excellent value for drivers with any type of budget. 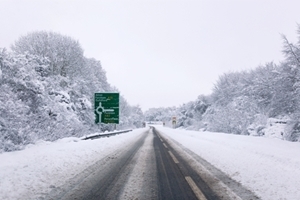 Drivers can take many precautions as they prepare for driving in winter conditions, but one of the most effective is simply obeying the rules of the road. 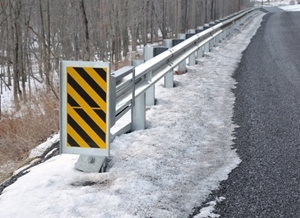 Most people are aware of the basic practices they should be following, but some of these methods may have to be tweaked to accommodate icy surfaces, poor visibility, slow speeds and other side effects of winter weather. Before setting out on the roads, drivers should make sure their headlights, defroster and windshield wipers are operating effectively. These tools are essential for maintaining good sightlines, regardless of the outside factors, so knowing you have them operating at a high level is extremely important. Once those features have been taken care of, drivers should brush up on their road etiquette. 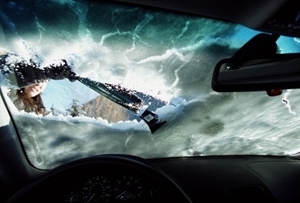 Simple actions like mapping out a route beforehand and properly cleaning off a car are the first steps, as these actions allow motorists to avoid distractions and focus on the task at hand. It's also necessary to drive slowly and remain cognizant of other drives' blind spots. Additionally, leaving enough space between vehicles so you can come to a full stop and avoid collisions should be prioritized. "One of the largest driving concerns during times of cold weather is that of following distances," said Don Logan, of the American Trucking Associations. "When the roads are slick, your normal following distance needs to double in length for snow and triple in length for icy conditions." To best prepare for winter, you should bring your vehicle in for a tune up. Consider scheduling an appointment at the Total Car Care Center at NJ State Auto Auction. The professionals at this garage are able to address any issues you may have, allowing you to feel safe and confident as you handle all kinds of winter conditions. Drivers who have deep pockets and an affinity for the "Fast & Furious" franchise may have their eyes set on one current sale. A German owner is selling a Nissan Skyline GT-R used in the series' fourth installment, made famous thanks to the driving of the film's stars – including Paul Walker. While this vehicle would have commanded a big price tag anyway, its value skyrocketed following Walker's untimely death. As one of the stars of the "Fast & Furious" franchise, Walker was a mainstay in the films and even drove this Skyline GT-R in the film. In the wake of his death, the asking price for the vehicle tripled to $1.4 million. Its previous price tag was about $413,000, according to Yahoo Autos. The Nissan Skyline GT-R took quite an unusual route to its current home. It was manufactured in Japan, and unlike other Nissan models, it was supposed to stay in its home country due to U.S. regulations on imports. Filmmakers managed to get this GT-R, along with seven other models, to the country because of a loophole in the law that allowed them to finish the manufacturing process on American soil. Although the other seven vehicles were destroyed in the filming of the movie, this Nissan vehicle remained. It was impounded in 2009 in response to the import laws, but it eventually found its way to the German owner currently selling it. Although celebrity cars may be a bit out of your price range, other suitable vehicles are available for purchase at spots like NJ Auto Auction. With hundreds of CARFAX-certified cars, trucks and vans, all in a variety of styles and equipped with a range of features, the lot is the perfect place to go when you're searching for a used car. Fuel economy is one of the most important factors to consider when shopping for a used car. While this varies from model to model, drivers frequently rely on a brand's reputation to influence their decision. Automakers that have traditionally produced vehicles with excellent mileage tend to seem more owner-friendly than others, and as a result, many prospective buyers consider them when trying to find used cars. The U.S. Environmental Protection Agency recently released a report titled “Light-Duty Automotive Technology, Carbon Dioxide Emissions and Fuel Economy Trends: 1975 Through 2013.” The research detailed in the study focuses largely on the efficiency of vehicles throughout the country, and the results could shine a light on the best investment for drivers on a budget. According to the EPA, the fleet of vehicles from Honda has the best average fuel economy. Its lineup boasts an average of 26.6 mpg, which is 0.10 mpg better than second-place Mazda. Despite the fact that these two manufacturers are close, Honda's number may be more impressive: the automaker produces more large vehicles and SUVs than Mazda, so the fact that its fuel economy stays high is noteworthy. Fuel economy wasn't the only area where Honda exceeded expectations. Its vehicles also had lower carbon dioxide emissions than any other lineup, and the lineup also led all others in the number of IIHS Top Safety Pick+ vehicles. New Jersey State Auto Auction is home to hundreds of CARFAX-certified vehicles. Whether you're looking for cars, trucks or vans, you can search through plenty of options, many of which offer excellent fuel economy, safety features and other highly sought-after amenities. With so many options for drivers in need of a used car, this auction lot is the place to go to find your next investment. People may be confident in their driving abilities, but that doesn't mean there are not subpar motorists on the roads. Whether they are frequently distracted behind the wheel or simply have the need for speed, they can put themselves and others at risk. To determine where these individuals are the most condensed, the website Car Insurance Comparison analyzed data from Allstate Insurance to pinpoint which state boasts the worst drivers. The study looked at tickets handed out for speeding, careless driving, failure to obey traffic signals and seat belt laws, drunk driving and more. Those numbers were then compared to each state's total population to find the highest percentage of offenses. Louisiana topped the list for poor driving, landing in the top five for most speeding tickets, careless driving citations and stops for failure to obey. It was closely followed by South Carolina, Mississippi, Texas and Alabama, all of which also ranked highly for bad drivers. Conversely, the states with the lowest percentage of traffic violations include Vermont, Utah, New Hampshire, Minnesota and Oregon. New York and New Jersey landed in the middle of the pack, coming in at No. 22 and No. 32, respectively, despite having a reputation for poor drivers. Although these predominantly city drivers may be aggressive on the roads, they mostly stay within the confines of the law. Bad drivers can be found anywhere, which makes the need for a safe, dependable vehicle incredibly important. At NJ State Auto Auction, you can browse through an expensive selection of top-notch used cars, many of which offer excellent safety features. These CARFAX-certified options represent a wide range of styles and models, providing every kind of driver with something that will meet their needs. The value of a vehicle can be difficult to judge. Prospective buyers have to balance the initial price tag with the cost of fuel, insurance, loan payments and potential auto repair or maintenance expenses. That's all in addition to elements like personal style, technology and performance, and combining all of these qualities into one vehicle can be extremely difficult. To help drivers judge value, Consumer Reports releases an annual report detailing the vehicles that offer the best value. For the second year in a row, the Toyota Prius topped the list, thanks in large part to its impressive fuel economy. It also offers a low rate of depreciation, ensuring that motorists who are trying to find used cars like this hybrid are getting plenty bang for their buck. "The Prius' 44 mpg overall is the best fuel economy of any non-plug-in car that Consumer Reports has tested," said Rik Paul, Consumer Reports' automotive editor. "Though it's not particularly cheap to buy, the Prius' depreciation is so low that it costs less to own over the first five years than its initial MSRP. We call that a bargain." Also ranking highly was the Honda Fit. This vehicle generally offers a low initial price, but its dependability, fuel efficiency and safety features make it a worthy investment. 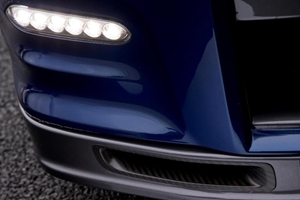 The brands that achieved the best results include Subaru and Mazda, both of which had a number of high-ranking automobiles land among the top choices. When you're searching for a car with plenty of value, you'll want to look through the selection at New Jersey State Auto Auction. The lot is home to hundreds of CARFAX-certified cars, trucks and vans, including some that offer tremendous value for drivers. A recent study from AAA found that two out of every three drivers have used a cellphone within the past month. However, the regular usage of a mobile device behind the wheel varied greatly depending on the age of the driver. Only about 20 percent of motorists ages 16 to 18 reported being on their phone "fairly often," compared to more than 43 percent of drivers ages 25 to 39. When asked if they had used a phone at least once, about 58 percent of teens said they had. That was significantly lower than drivers ages 25 to 39, of which about 82 percent reported using a device. Most of these slightly older drivers likely felt more comfortable controlling a car, and believed that texting or making a phone call wasn't as dangerous as a result. Unfortunately, that confidence can sometimes be misplaced, as those motorists who get distracted by technology are four times more likely to be involved in a crash, AAA reported. "It's noteworthy that the young novice drivers are using their phones while driving less than older drivers since, given their inexperience, they are especially susceptible to distracted driving crashes," said Peter Kissinger, president of the AAA Foundation for Traffic Safety. "At the same time, it is discouraging that cell phone usage picks up when drivers gain more experience, as using a phone can lead to dangerous distractions behind the wheel." When your teen is ready to start driving, you're going to want to make sure they have a car that is safe and functional. The perfect place to search is at New Jersey State Auto Auction. The lot is home to hundreds of CARFAX-certified cars, trucks and vans, many of which can serve as the ideal vehicle for those young motorists just beginning to drive. It's no secret that the holidays are a busy time of year, especially for people who plan on traveling. A record number of Americans are expected to get behind the wheel to reach their destinations this year, and with so many people on the highways, all motorists should be aware of what to expect to ensure their safety. AAA estimates that approximately 85.8 million people will travel more than 50 miles by car this holiday season. That marks an increase of almost 1 percent over last year, and it is the fifth consecutive year the number of road trippers has grown. This constitutes the vast majority of travelers as well, making up about 91 percent of all people trekking more than 50 miles during the end of the year. Many travelers are eager to drive because of the low price of gas. The average cost of a gallon of gas has been dropping steadily throughout the year, and even though there has been a slight uptick in recent weeks, it is still considerably lower than a year ago – and much cheaper than airfare. Of all of the motorists getting behind the wheel, AAA predicts it will be called to help about 3.76 million stranded drivers. Problems like flat tires, dead batteries and lockouts are likely to be the most common issues facing motorists, but more significant accidents will occur as well. Although it may be impossible to avoid some issues, drivers should still take preventative measures to keep their automobile functioning at a high level. Before you head out on a road trip this holiday season, make sure you get your car looked at to ensure its safety and capability. The Total Car Care Center at NJ Auto Auction can address any issues you may have. Many qualities have to be considered as drivers shop around for a used car. 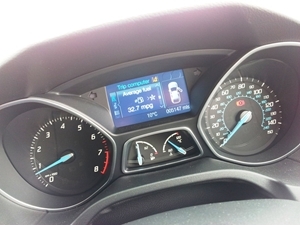 Motorists almost always rank fuel economy highly on their wish-lists, and finding brands with impressive track records in this area becomes incredibly important. 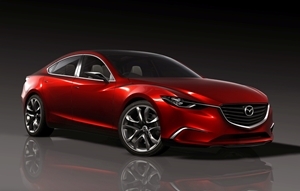 According to a report from the U.S. Environmental Protection Agency, Mazda topped all other brands with regard to average fuel efficiency of its vehicles. The brand boasts an average fuel economy of 27.1 mpg, which was about half a mile ahead of second-place Honda. Although the actual efficiency will vary from car to car, knowing that the brand has a strong reputation for excellent mileage, saving drivers money consistently throughout its life. Other manufacturers with high ratings include Volkswagen, Toyota and Subaru. All of those automakers have an average fuel economy of more than 25 mpg, providing drivers with plenty of options. Many of these automobiles have been improving for the past several years, which means that even models that are several years old offer great value for drivers. "While other manufacturers have turned their attention to hybrids and electric cars, we chose to focus on perfecting the base technology used in more than 90 percent of the cars and SUVs sold today: the internal combustion engine," said Jim O'Sullivan, CEO of Mazda North American Operations. "… Mazda has been able to achieve class-leading fuel economy in nearly every segment it competes in, and bring that technology – at an affordable price – to every customer." If you're shopping for a Mazda, or any other used car with impressive fuel efficiency, check out the selection of CARFAX-certified models at New Jersey Auto Auction. The pre-owned cars, trucks and vans present on the lot all offer excellent quality at affordable prices.